The Global Volcanism Program has no activity reports for Jolo. The Global Volcanism Program has no Weekly Reports available for Jolo. The Global Volcanism Program has no Bulletin Reports available for Jolo. 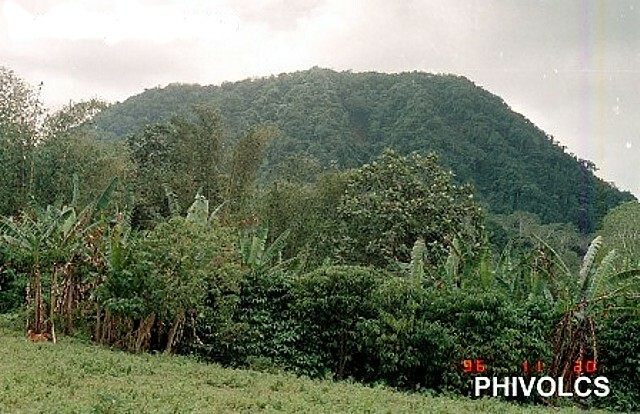 Numerous pyroclastic cones and craters dot 60-km-wide Jolo Island at the SW end of the Philippines archipelago. Jolo lies in the Sulu archipelago, about 150 km SW of the tip of the Zamboanga Peninsula on SW Mindanao Island. Youthful-looking Tumatangus volcano forms the high point of the island. Bud Dajo (or Buddajo) is a basaltic cinder cone that reaches above 600 m elevation; other nearby cones are Matanding, Guimba, and Sungal. Hot springs have been reported at craters on Cagayan Sulu, and solfataras at Siit Lake. A reported eruption in 1641 actually reflected ashfall from the eruption of Parker volcano on Mindanao. A pair of large earthquakes (M 7.4-7.5) on 20-21 September 1897 caused a significant tsunami and later speculation of a possible submarine eruption, but there were no direct observations or later evidence of volcanism. Abe K, 1994. Instrumental magnitudes of historical earthquakes, 1892 to 1898. Bulletin of the Seismological Society of America, v. 84, no. 2. p. 415-425. Castillo P R, Solidum R U, Punongbayan R S, 2002. Origin of high field strength element enrichment in the Sulu Arc, southern Philippines, revisited. Geology, 30: 707-710. Maso, M S, 1904. Volcanoes and Seismic Centers of the Philippine Archipelago. Census of the Philppine Islands, Bulletin 3. United States Bureau of the Census, Department of Commerce and Labor. The Global Volcanism Program is not aware of any Holocene eruptions from Jolo. If this volcano has had large eruptions (VEI >= 4) prior to 10,000 years ago, information might be found on the Jolo page in the LaMEVE (Large Magnitude Explosive Volcanic Eruptions) database, a part of the Volcano Global Risk Identification and Analysis Project (VOGRIPA). There is no Deformation History data available for Jolo. There is no Emissions History data available for Jolo. The Global Volcanism Program has no photographs available for Jolo. There are no samples for Jolo in the Smithsonian's NMNH Department of Mineral Sciences Rock and Ore collection. Large Eruptions of Jolo Information about large Quaternary eruptions (VEI >= 4) is cataloged in the Large Magnitude Explosive Volcanic Eruptions (LaMEVE) database of the Volcano Global Risk Identification and Analysis Project (VOGRIPA).